Why would you make Homemade Honey-Sweetened Ginger Ale? Because you can, and it’s delicious! Also because you can choose the sweetener of your choice and avoid the nasty ingredients that are in most commercial soft drinks. And…it is very easy to make! 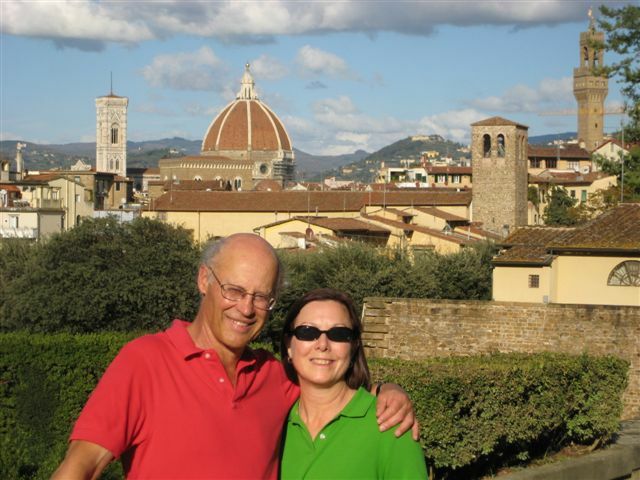 I turned to the man who knows how to cook everything, Mark Bittman, for a recipe. Sure enough, in The Best Recipes in the World he has a recipe for ginger ale. He uses sugar which would give you more of a pure ginger flavor. I used a mild honey and found that the subtle honey flavor went well with the ginger. Once you have the ginger syrup made, you can control the strength of your drink according to your taste. Mr. Bittman points out that the syrup is “incredible with rum” and that it is a “quick way to add ginger flavor to stir-fries and other dishes”. I haven’t tried those ideas but they seem brilliant to me. And did you know? Ginger has many health benefits, including relief from motion sickness and inflammation! 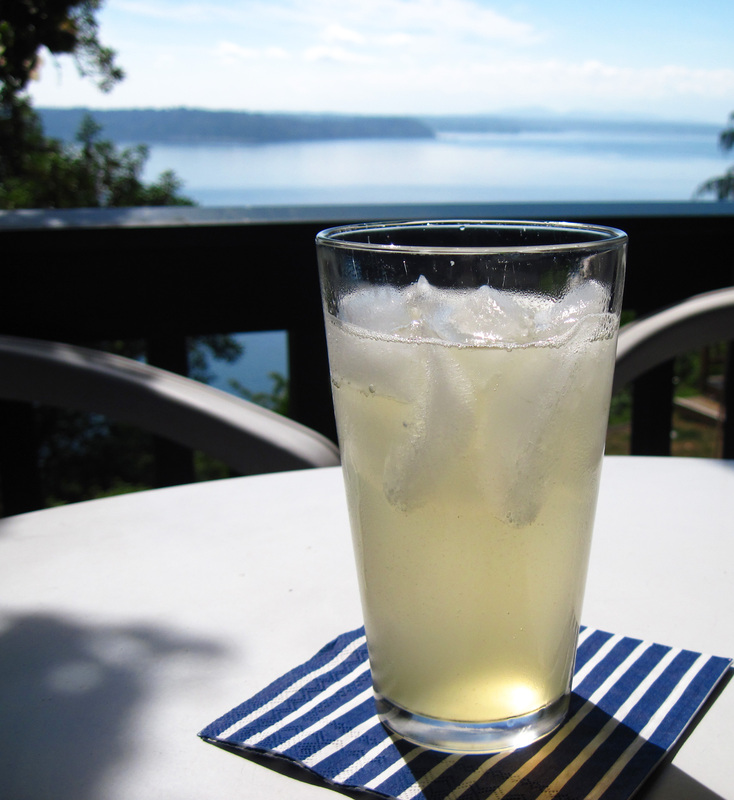 So enjoy a healthy Homemade Honey-Sweetened Ginger Ale this summer! If you use sugar, use 1 cup of sugar and 2 cups of water as in the original recipe. 1. 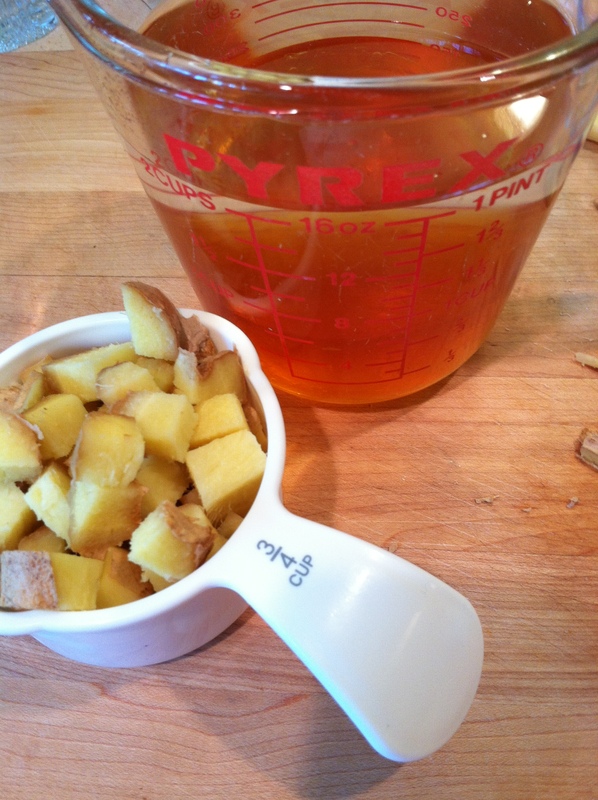 Measure the honey in a 2-cup Pyrex cup and add water to make 2 cups. 2. 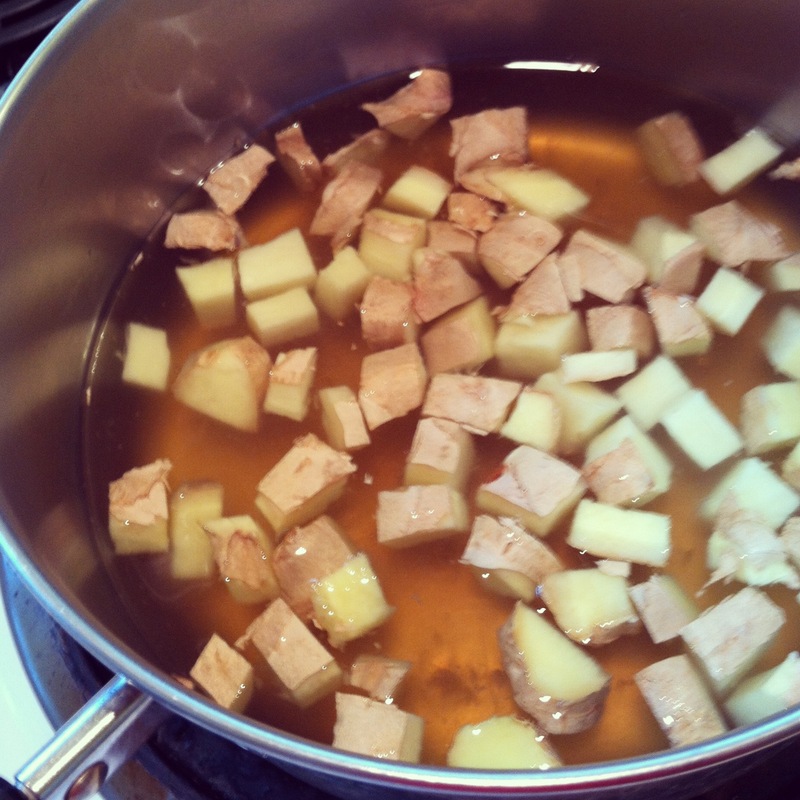 Put the honey-water and ginger in a pan. Bring to a boil. Lower the heat and simmer for 10 minutes. Let the syrup cool. 3. Strain the ginger syrup and store in the refrigerator for up to 2 weeks. I bet you could make a delicious Moscow Mule with this, too! Looks fantastic. Can’t wait to try this. Thanks for this recipe! Totally unexpected. I was just wondering, would it be better if the ginger was grated? Wouldn’t that increase the surface area of the ginger in contact with the honey/water? Just a thought! 🙂 I’m going to get the sparkling water this weekend and try this. I love this! Thanks for the recipe! Ginger Ale is one of the few sodas I actually like, but it had never occurred to me that I could make my own. This sounds really nice. Will definitely give it a try!